Time-dependent processes in physics, biology, and economics often exhibit a rate-independent input-output behavior. In those processes a rescaling of the input function with respect to time leads to the same rescaling of the response function. In order to describe the current state, one can add further internal variables to the ordinal variables, so that the modeling of the memory is not necessary. In this case, however, one must describe the solution concept using these internal variables explicitly. For many cases one can find hysteresis operators directly describing the input-output-behavior, using only the observable variables. These operators avoid the direct use of internal variables in the formulation, but lead to a memory, i.e., they depend on the history of the considered process. Figure 2: Input-output behavior for two processes with internal memory. Rate-independent systems are rate-independent, quasistatic evolution equations, formulated with an energy functional and a dissipation potential, where the dissipation potential is positively homogeneous of degree one in the rate of the internal variables. The theory typically describes the state of those systems by internal variables, so that an evolution theory in the state space can be developed, that does not need any memory. Typical evolution equations can be formulated as differential inclusions, e.g., a force balance between the dissipative forces as functions of the change rate of the state variables and the restoring forces. Quite often, these evolution equation have multiple solutions. The analysis of rate-independent system may rely on the general theory of dissipative evolution systems. There are some additional difficulties since in general the solutions are no longer continuous. Especially for non-convex energy functionals the typical solution have jumps that must be additionally modeled. This can be done by the vanishing-viscosity method, where the introduction of physical (or artificial) viscosity generates continuous solutions, whose limits define a new class of solutions. A further strategy relies on so-called energetic solutions, where the dissipative forces are described by a dissipation potential. The energetic solutions are described by a stationary global stability condition and an energy balance. The operator is rate-independent: For every input-function and all admissible time-transformations there holds: The output-function that is obtained from a time-transformed input-function is exactly the time-transformed version of the output to the original input-function. The operator is causal: For every input-function and all times there holds: The value of the output-function at a given time only depends on the values of the input-function at previous times. The existence of energetic solutions can be shown for a broad range of applications, for example in elasto-plastic materials (including situations with large deformations), in shape memory alloys, damage models, and for fracture growth, cf. Mielke,Roubíček 2015. Moreover, for a large abstract class of rate-independent systems, is was proved that the vanishing-viscosity limit can be identified by considering the balanced viscosity solutions, cf. Mielke, Rossi, Savaré 2016. The representation result in Brokate-Sprekels 1996, for hysteresis operators acting on scalar-valued input functions, was generalized to hysteresis operators acting on special vector-valued input functions, and also further extended, cf. Klein 2014. It was proved that for every extension of the sweeping processes to input functions of bounded variation it holds that the extension is not continuous when its domain is endowed with the strict topology of and its codomain is endowed with the L1-topology, cf. Klein, Recupero 2016. O. Klein, A representation result for rate-independent systems, Phys. B, 486 (2016), pp. 81--83. A. Mielke, R. Rossi, G. Savaré, Balanced viscosity (BV) solutions to infinite-dimensional rate-independent systems, Journal of the European Mathematical Society (JEMS), 18 (2016), pp. 2107--2165.
ned lower semicontinuity-compactness arguments, and on new BVestimates that are of independent interest. O. Klein, On the representation of hysteresis operators acting on vector-valued, left-continuous and piecewise monotaffine and continuous functions, Discrete and Continuous Dynamical Systems, 35 (2015), pp. 2591--2614. In Brokate-Sprekels 1996, it is shown that hysteresis operators acting on scalar-valued, continuous, piecewise monotone input functions can be represented by functionals acting on alternating strings. In a number of recent papers, this representation result is extended to hysteresis operators dealing with input functions in a general topological vector space. The input functions have to be continuous and piecewise monotaffine, i.e., being piecewise the composition of two functions such that the output of a monotone increasing function is used as input for an affine function. In the current paper, a representation result is formulated for hysteresis operators dealing with input functions being left-continuous and piecewise monotaffine and continuous. The operators are generated by functions acting on an admissible subset of the set of all strings of pairs of elements of the vector space. of the set of all strings of pairs of elements of the vector space. O. Klein, A representation result for hysteresis operators with vector valued inputs and its application to models for magnetic materials, Phys. B, 435 (2014), pp. 113--115. In this work, hysteresis operators mapping continuous vector-valued input functions being piecewise monotaffine, i.e. being piecewise the composition of a monotone with an affine function, to vector-valued output functions are considered. It is shown that the operator can be generated by a uniquely defined function on the convexity triple free strings. A formulation of a congruence property for periodic inputs is presented and reformulated as a condition for the generating string function. We analyze a rate-independent model for damage evolution in elastic bodies. The central quantities are a stored energy functional and a dissipation functional, which is assumed to be positively homogeneous of degree one. Since the energy is not simultaneously (strictly) convex in the damage variable and the displacements, solutions may have jumps as a function of time. The latter circumstance makes it necessary to recur to suitable notions of weak solution. However, the by-now classical concept of global energetic solution fails to describe accurately the behavior of the system at jumps. Hence, we consider rate-independent damage models as limits of systems driven by viscous, rate-dependent dissipation. We use a technique for taking the vanishing viscosity limit, which is based on arc-length reparameterization. In this way, in the limit we obtain a novel formulation for the rate-independent damage model, which highlights the interplay of viscous and rate-independent effects in the jump regime, and provides a better description of the energetic behavior of the system at jumps. The focus of this note lies on the numerical analysis of models describing the propagation of a single crack in a linearly elastic material. 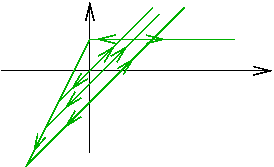 The evolution of the crack is modeled as a rate-independent process based on the Griffith criterion. We follow two different approaches for setting up mathematically well defined models: the global energetic approach and an approach based on a viscous regularization. We prove the convergence of solutions of fully discretized models (i.e. with respect to time and space) and derive relations between the discretization parameters (mesh size, time step size, viscosity parameter, crack increment) which guarantee the convergence of the schemes. Further, convergence rates are provided for the approximation of energy release rates by certain discrete energy release rates. Thereby we discuss both, models with self-contact conditions on the crack faces as well as models with pure Neumann conditions on the crack faces. The convergence proofs rely on regularity estimates for the elastic fields close to the crack tip and local and global finite element error estimates. Finally the theoretical results are illustrated with some numerical calculations. A. Fiaschi, D. Knees, U. Stefanelli, Young measure quasi-static damage evolution, Archive for Rational Mechanics and Analysis, 203 (2012), pp. 415--453. O. Klein , Representation of hysteresis operators for vector-valued inputs by functions on strings, Phys. B, 407 (2012), pp. 1399--1400. O. Klein, Representation of hysteresis operators acting on vector-valued monotaffine functions, Advances in Mathematical Sciences and Applications, 22 (2012), pp. 471--500. In Brokate-Sprekels-1996, it was shown that scalar-valued hysteresis operators for scalar-valued continuous piecewise monotone input functions can be uniquely represented by functionals defined on the set of all finite alternating strings of real numbers. Using this representation, various properties of these hysteresis operators were investigated. In this work, it is shown that a similar representation result can be derived for hysteresis operators dealing with inputs in a general topological linear vector space. Introducing a new class of functions, the so-called emphmonotaffine functions, which can be considered as a vector generalization of monotone scalar functions, and the convexity triple free strings on a vector space as a generalization of the alternating strings allows to formulate the corresponding representation result. As an example for the application of the representation result, a vectorial formulation of the second and third Madelung rule are discussed. A. Mielke, R. Rossi, G. Savaré, Variational convergence of gradient flows and rate-independent evolutions in metric spaces, Milan Journal of Mathematics, 80 (2012), pp. 381--410. We study the asymptotic behaviour of families of gradient flows in a general metric setting, when the metric-dissipation potentials degenerate in the limit to a dissipation with linear growth. We present a general variational definition of BV solutions to metric evolutions, showing the different characterization of the solution in the absolutely continuous regime, on the singular Cantor part, and along the jump transitions. By using tools of metric analysis, BV functions and blow-up by time rescaling, we show that this variational notion is stable with respect to a wide class of perturbations involving energies, distances, and dissipation potentials. As a particular application, we show that BV solutions to rate-independent problems arise naturally as a limit of p-gradient flows, p>1, when the exponents p converge to 1. M. Eleuteri, J. Kopfová, P. Krejčí, Magnetohydrodynamic flow with hysteresis, SIAM Journal on Mathematical Analysis, 41 (2009), pp. 435--464. We consider a model system describing the 2D flow of a conducting fluid surrounded by a ferromagnetic solid under the influence of the hysteretic response of the surrounding medium. We assume that this influence can be represented by the Preisach hysteresis operator. Existence and uniqueness of solutions for the resulting system of PDEs with hysteresis nonlinearities is established in the convexity domain of the Preisach operator. P. Krejčí, M. Liero, Rate independent Kurzweil processes, Applications of Mathematics, 54 (2009), pp. 117--145. The Kurzweil integral technique is applied to a class of rate independent processes with convex energy and discontinuous inputs. We prove existence, uniqueness, and continuous data dependence of solutions in $BV$ spaces. It is shown that in the context of elastoplasticity, the Kurzweil solutions coincide with natural limits of viscous regularizations when the viscosity coefficient tends to zero. The discontinuities produce an additional positive dissipation term, which is not homogeneous of degree one. M. Brokate, M. Eleuteri, P. Krejčí, On a model for electromagnetic processes inside and outside a ferromagnetic body, Mathematical Methods in the Applied Sciences, 31 (2008), pp. 1545-1567. M. Eleuteri, J. Kopfová, P. Krejčí, On a model with hysteresis arising in magnetohydrodynamics, Phys. B, 403 (2008), pp. 448-450. M. Eleuteri, O. Klein, P. Krejčí, Outward pointing inverse Preisach operators, Phys. B, 403 (2008), pp. 254-256. P. Krejčí, K. Kuhnen, Existence, uniqueness and $L_infty$-stability of the Prandtl--Ishlinskii hysteresis and creep compensator, European Journal of Control, 14 (2008), pp. 409--417. P. Krejčí, A higher order energy bound in a singular Preisach circuit, Phys. B, 403 (2008), pp. 297-300. M. Eleuteri, P. Krejčí, An asymptotic convergence result for a system of partial differential equations with hysteresis, Communications on Pure and Applied Analysis, 6 (2007), pp. 1131-1143. M. Eleuteri, Well-posedness results for a class of partial differential equations with hysteresis arising in electromagnetism, Nonlinear Analysis. Real World Applications. An International Multidisciplinary Journal, 8 (2007), pp. 1494-1511. P. Krejčí, J. Sprekels, Long time behaviour of a singular phase transition model, Discrete and Continuous Dynamical Systems, 15 (2006), pp. 1119-1135. P. Krejčí, J. Sprekels, Nonlocal phase-field models for non-isothermal phase transitions and hysteresis, Advances in Mathematical Sciences and Applications, 14 (2004), pp. 593--612. J. Sprekels, S. Zheng, Global existence and asymptotic behaviour for a nonlocal phase-field model for non-isothermal phase transitions, Journal of Mathematical Analysis and Applications, 279 (2003), pp. 97-110. P. Krejčí, J. Sprekels, S. Zheng, Asymptotic behaviour for a phase-field system with hysteresis, Journal of Differential Equations, 175 (2001), pp. 88--107. P. Krejčí, J. Sprekels, On a class of multi-dimensional Prandtl-Ishlinskii operators, Phys. B, 306 (2001), pp. 185-190. P. Krejčí, J. Sprekels, A hysteresis approach to phase-field models, Nonlinear Analysis. Theory, Methods & Applications. An International Multidisciplinary Journal. Series A: Theory and Methods, 39 (2000), pp. 569--586. 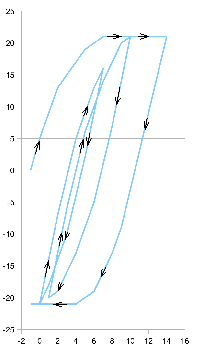 P. Krejčí, J. Sprekels, Phase-field models with hysteresis, Journal of Mathematical Analysis and Applications, 252 (2000), pp. 198--219. G. Gilardi, P. Krejčí, J. Sprekels, Hysteresis in phase-field models with thermal memory, Mathematical Methods in the Applied Sciences, 23 (2000), pp. 909--922. M. Thomas, Modeling and analysis of rate-independent damage and delamination processes, in: Proceedings of the 19th International Conference on Computer Methods in Mechanics (online only), 2011, pp. 1--6. A. Mielke, Geometry and thermodynamics for the coupling of quantum mechanics and dissipative systems, in: Applied Dynamics and Geometric Mechanics, Workshop, August 14--20, 2011, 8 of Oberwolfach Reports, Mathematisches Forschungsinstitut Oberwolfach, 2011, pp. 2260--2263. O. Klein, Outward pointing properties for vectorial hysteresis operators and some applications, in: International Workshop on Multi-Rate Processes and Hysteresis'', March 31 -- April 5, 2008, Cork, Ireland, M.P. Mortell, R.E. O'Malley, A. Pokrovskii, D. Rachinskii, V.A. Sobolev, eds., 138 of J. Phys. : Conf. Ser., Inst. Phys., 2008, pp. 012009/1--012009/14. P. Krejčí, Hysteresis rarefaction in the Riemann problem, in: International Workshop on Multi-Rate Processes and Hysteresis, March 31 -- April 5, 2008, Cork, Ireland, M.P. Mortell, R.E. O'Malley, A. Pokrovskii, D. Rachinskii, V.A. Sobolev, eds., 138 of J. Phys. : Conf. Ser., Inst. Phys., 2008, pp. 012010/1--012010/10. M. Eleuteri, An existence result for a P.D.E. with hysteresis, convection and a nonlinear boundary condition, in: Dynamical Systems, Differential Equations and Applications. Dedicated to the 6th AIMS Conference, Poitiers, France, B. Belinsky, K. Lan, X. Lu, A. Miranville, R. Shivaji, eds., American Institute of Mathematical Sciences, Springfield, 2007, pp. 344-353. M. Eleuteri, Some P.D.E.s with hysteresis, in: Free Boundary Problems. Theory and Applications, I.N. Figueiredo, J.F. Rodrigues, L. Santos, eds., 154 of Internat. Ser. Numer. Math., Birkhäuser, Basel, 2007, pp. 159-168. P. Krejčí, Asymptotic hysteresis patterns in a phase separation problem, in: Free Boundary Problems. Theory and Applications, I.N. Figueiredo, J.F. Rodrigues, L. Santos, eds., 154 of Internat. Ser. Numer. Math., Birkhäuser, Basel, 2007, pp. 283-290. J. Sprekels, D. Tiba, Optimization of differential systems with hysteresis, in: Analysis and Optimization of Differential Systems, IFIP TC7/WG7.2 International Working Conference on Analysis and Optimization of Differential Systems, September 10--14, 2002, Constanta, Romania, V. Barbu, I. Lasiecka, D. Tiba, C. Varsan, eds., Kluwer Academic Publishers, Boston, 2003, pp. 387--398. P. Krejčí, J. Sprekels, Phase-field systems and vector hysteresis operators, in: Free Boundary Problems: Theory and Applications II, N. Kenmochi, ed., 14 of Gakuto Int. Series Math. Sci. & Appl., Gakkōtosho, Tokyo, 2000, pp. 295--310. A. Mielke, Oscillations in systems with hysteresis, SFB 910 Symposium ``Stability Versus Oscillations in Complex Systems'', Technische Universität Berlin, Institut für Theoretische Physik, February 10, 2017. M. Thomas, From adhesive contact to brittle delamination in visco-elastodynamics, ERC Workshop on Modeling Materials and Fluids using Variational Methods, February 22 - 26, 2016, WIAS Berlin, Berlin, February 26, 2016. O. Klein, Classification of hysteresis operators for vector-valued inputs by using their representation as functions on strings, RIPE60 -- Rate Independent Processes and Evolution Workshop, June 24 - 26, 2014, Prague, Czech Republic, June 24, 2014. O. Klein, String-representation of hysteresis operators acting on vector-valued, left-continuous and piecewise monotaffine and continuous functions, MURPHYS-HSFS-2014, The 7th Multi-Rate Processes and Hysteresis Workshop, in conjunction with the Second International Workshop on Hysteresis and Slow-Fast Systems, April 7 - 11, 2014, Weierstrass Institute, Berlin, April 11, 2014. S. Heinz, On a way to control oscillations for a special evolution equation, Conference ``Nonlinearities'', June 10 - 14, 2013, University of Warsaw, Institute of Mathematics, Male Ciche, Poland, June 11, 2013. D. Knees, A vanishing viscosity approach to a rate-independent damage model, Seminar ``Wissenschaftliches Rechnen'', Technische Universität Dortmund, Fachbereich Mathematik, January 31, 2013. D. Knees, Crack evolution models based on the Griffith criterion, Workshop on Mathematical Aspects of Continuum Mechanics, October 12 - 14, 2013, The Japan Society for Industrial and Applied Mathematics, Kanazawa, Japan, October 13, 2013. D. Knees, Global spatial regularity results for crack with contact and application to a fracture evolution model, Oberseminar Nichtlineare Analysis, Universität Köln, Mathematisches Institut, October 28, 2013. D. Knees, Modeling and analysis of crack evolution based on the Griffith criterion, Nonlinear Analysis Seminar, Keio University of Science, Yokohama, Japan, October 9, 2013. D. Knees, On energy release rates for nonlinearly elastic materials, Workshop on Mathematical Aspects of Continuum Mechanics, October 12 - 14, 2013, The Japan Society for Industrial and Applied Mathematics, Kanazawa, Japan, October 12, 2013. M. Thomas, Fine properties of solutions for rate-independent brittle damage models, XXIII Convegno Nazionale di Calcolo delle Variazioni, Levico Terme, Italy, February 3 - 8, 2013. M. Thomas, Local versus energetic solutions in rate-independent brittle delamination, DIMO2013 -- Diffuse Interface Models, September 10 - 13, 2013, Levico Terme, Italy, September 13, 2013. M. Thomas, Rate-independent damage models with spatial BV-regularization -- Existence & fine properties of solutions, Oberseminar zur Analysis, Universität Duisburg-Essen, Fachbereich Mathematik, Essen, January 24, 2013. O. Klein, A representation result for hysteresis operators with vector valued inputs and its application to models for magnetic materials, 9th International Symposium on Hysteresis Modelling and Micromagnetics (HMM 2013), May 13 - 15, 2013, Taormina, Italy, May 13, 2013. O. Klein, Representation of hysteresis operators for vector-valued monotaffine inputs by functions on strings, Politecnico di Torino, DISMA Dipartimento di Scienze Matematiche ``Giuseppe Luigi Lagrange'', Italy, April 23, 2013. G. Witterstein, Compressible phase change flows and the existence of transition profiles, PDEs for multiphase advanced materials, ADMAT2012, September 17 - 21, 2012, Cortona, Italy, September 18, 2012. D. Knees, A vanishing viscosity approach in fracture mechanics, Nonlocal Models and Peridynamics, November 5 - 7, 2012, Technische Universität Berlin, Institut für Mathematik, November 5, 2012. W. Dreyer, Sharp limits of diffuse interface models in the context of energy storage problems, PDEs for Multiphase Advanced Materials (ADMAT2012), September 17 - 21, 2012, Cortona, Italy, September 18, 2012. O. Klein, A representation result for hysteresis operators acting on vector-valued continuous, piecewise monotaffine input functions, 6th International Workshop on Multi-Rate Processes and Hysteresis (MURPHYS 2012), May 21 - 24, 2012, Stefan cel Mare University, Suceava, Romania, May 22, 2012. O. Klein, Representation of hysteresis operators for vector-valued inputs by string functions, PDEs for multiphase advanced materials, ADMAT2012, September 17 - 21, 2012, Cortona, Italy, September 17, 2012. J. Sprekels, Mathematical modeling of hysteresis, Seminar ``Thermodynamische Modellierung und Analyse von Phasenübergängen'', WIAS, Berlin, November 13, 2012. J. Sprekels, Mathematical modeling of hysteresis - Part II, Seminar ``Thermodynamische Modellierung und Analyse von Phasenübergängen'', WIAS, Berlin, December 11, 2012. O. Klein, Representation of hysteresis operators for vector-valued inputs by functions on strings, International Symposium on Hysteresis Modelling and Micromagnetics (HMM 2011), Levico (Trento), Italy, May 9 - 11, 2011. M. Thomas, Modeling and analysis of rate-independent damage and delamination processes, 19th International Conference on Computer Methods in Mechanics, Minisymposium ``Growth Phenomena and Evolution of Microstructures. Applications in Solids'', May 9 - 12, 2011, Warsaw University of Technology, Poland, May 11, 2011. O. Klein, Hysteresis operators for vector-valued inputs and their representation by functions on strings, International Workshop on Hysteresis and Slow-Fast Systems (HSFS-2011), December 12 - 14, 2011, Lutherstadt Wittenberg, December 14, 2011. J. Sprekels, Phase field models and hysteresis operators, Trends in Thermodynamics and Materials Theory 2011, December 15 - 17, 2011, Technische Universität Berlin, December 16, 2011. O. Klein, Outward pointing properties for vectorial hysteresis operators and some applications, International Workshop on Multi-Rate Processes & Hysteresis, March 31 - April 5, 2008, University College Cork, Ireland, April 4, 2008. O. Klein, Outwards pointing properties for Preisach operators, International Workshop on Multi-Rate Processes & Hysteresis (MURPHYS 2006), April 3 - 7, 2006, University College Cork, Ireland, April 4, 2006. J. Sprekels, Asymptotics of the stop hysteresis operator, Workshop ``Applications of Asymptotic Analysis'', June 18 - 22, 2006, Mathematisches Forschungsinstitut Oberwolfach, June 21, 2006. O. Klein, Outward pointing properties for Preisach operators, 5th International Symposium on Hysteresis and Micromagnetic Modeling (HMM 2005), May 30 - June 1, 2005, Budapest, Hungary, May 30, 2005. J. Sprekels, On nonlocal phase-field models, Workshop ``Thermodynamische Materialtheorien'', December 12 - 15, 2004, Mathematisches Forschungsinstitut Oberwolfach, December 14, 2004. J. Sprekels, Mathematical modelling of hysteresis phenomena, February 18 - 20, 2003, Chiba University, Department of Mathematics, Japan. J. Sprekels, Hysteresis operators in phase-field modelling, Workshop ``Phasenübergänge'', April 29 - May 4, 2001, Mathematisches Forschungsinstitut Oberwolfach, May 1, 2001. J. Sprekels, Hysteresis operators in phase-field systems, University of Warsaw, Interdisciplinary Centre for Mathematics and Computer Modelling, Poland, January 5, 2001. J. Sprekels, On nonlocal phase transition models for non-conserved order parameters, Università di Pavia, Dipartimento di Matematica, Italy, September 19, 2001. J. Sprekels, Phase-field systems and vector hysteresis operators, Workshop "`Phase Transitions and Interfaces in Evolution Equations: Analysis, Control and Approximation"', February 8 - 12, 2000, Santa Margherita Ligure, Italy, February 11, 2000. J. Sprekels, Phase-field systems with hysteresis, Konferenz "`Evolution Equations 2000: Applications to Physics, Industry, Life Sciences and Economics"', October 30 - 31, 2000, Levico, Italy, October 30, 2000. A. Fiaschi, D. Knees, U. Stefanelli, Young measure quasi-static damage evolution, Preprint no. 28PV10/26/0, Istituto di Matematica Applicata e Technologie Informatiche, 2010.